Warner Bros. Pictures and DC are in the early stages of developing at Joker origin movie, according to Deadline. The site says that The Hangover‘s Todd Phillips will co-write the script with 8 Mile‘s Scott Silver. Phillips will direct the movie, to be produced by Martin Scorsese and Phillips. 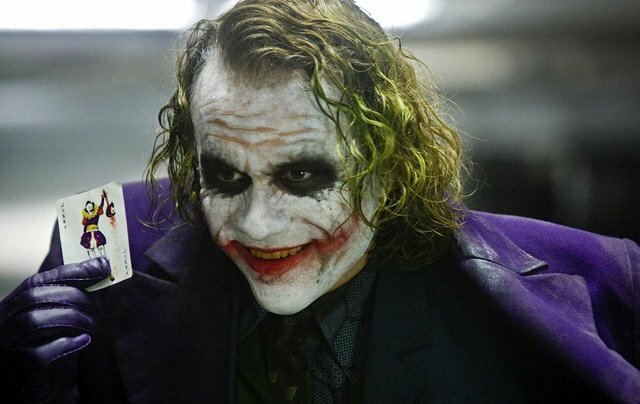 The Joker origin movie will be the first film under a new banner that Warner Bros. has yet to name, but which will expand the canon of DC Comics properties and create unique storylines with different actors playing the characters. The Joker has previously been played by Jack Nicholson in Batman, by Heath Ledger in The Dark Knight, and by Jared Leto in Suicide Squad. The site adds that Leto will reprise the character in the Suicide Squad sequel and the Harley Quinn spinoff, Gotham City Sirens. This new film, however, will feature a different actor, possibly younger. While it’s unknown when this Joker origin movie would be released, Phillips and Silver are already writing the script.